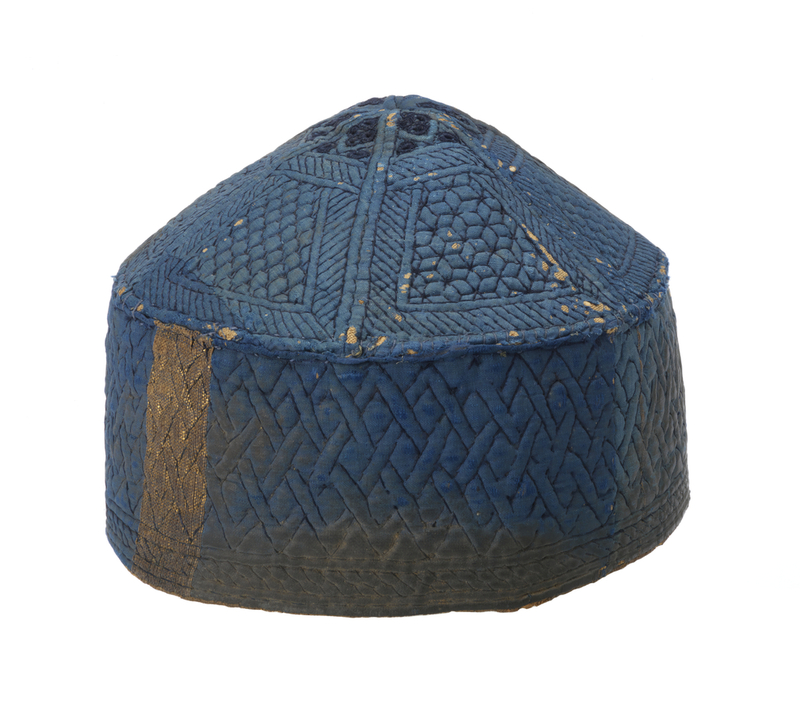 This cap was used in Mamluk Egypt, a period during which textiles were perhaps the most precious items in Islamic society. Its finely-woven blue silk fabric is interlaced with ‘strap gold’: strips of membrane coated with real gold foil, making it among the most expensive and desired fabric types in Egypt at this time. The fabric’s fine, firm weave structure and use of untwisted silks indicate a Chinese origin for the fabric, which likely arrived in Egypt by means of the famed Silk Road. The geometric and interlace designs of the embroidery, however, reflect medieval Islamic tastes rather than Chinese designs, suggesting that the hat itself was fabricated in Egypt. Erosion of the cap’s back and evidence of bodily fluid degradation suggest that the cap was used in a funerary context. The deceased was likely wealthy to have been buried in a cap of such fine fabric.